Some of us after a summer potluck! If you have any questions please send us an email info@mosaicvillage.org. We have a monthly ‘Curiosity and Conversation’ pub night. Check out our Co-Housing Meetup for more details. You can also subscribe to the blog by clicking on the link in the bottom right corner of our home page. You will receive an email when we have a new post. If we have an event other than our pub night, we will send out a note. We host a monthly ‘Curiosity and Conversation’ pub night. 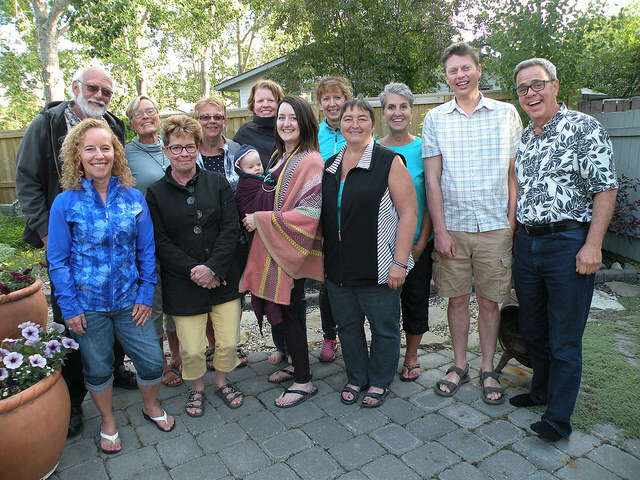 Check out our Cohousing Meetup for more details.